MADRID—Things have changed for Europe’s most successful club. The Real Madrid team that will begin its Champions League campaign against Roma on Wednesday looks nothing like the one that dominated European soccer in the last few years. For the first time in nearly a decade, Madrid will be without Cristiano Ronaldo, the competition’s leading scorer and the team’s biggest star. It will also be without Zinedine Zidane, the coach who was replaced by Julen Lopetegui after resigning following last season’s title. Ronaldo was crucial for Madrid as it won the Champions League the last three seasons — and four times in the last five years. Madrid added Thibaut Courtois in goal, but made no other major signings to try to replace Ronaldo’s departure to Juventus. Karim Benzema and Gareth Bale have played well early on and the team is off to a good start in the Spanish league. It’s a different Real Madrid, though. The team used to play with the ultimate goal of putting Ronaldo in a position to score, leaving most other players with a secondary role. Now the team plays more collectively and the responsibility is spread throughout the squad. 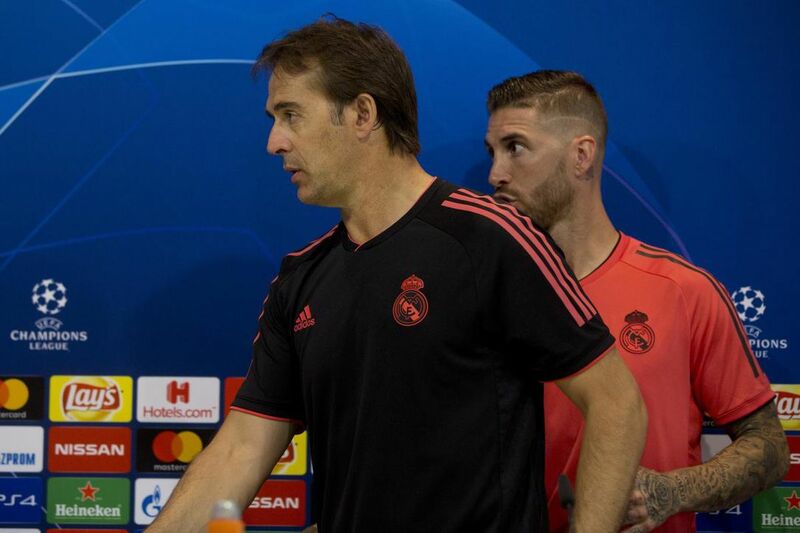 The man in charge of Madrid’s new team is Lopetegui, who arrived amid controversy after being fired from Spain’s national team two days before the World Cup for taking the Madrid job without telling federations officials in advance. In his first job in one of Europe’s top leagues, Lopetegui tried his best to downplay Ronaldo’s absence. Lopetegui is in for a difficult Champions League debut as Madrid faces Roma in its opener on Wednesday at Santiago Bernabeu Stadium. The Italian club is coming off a semifinal appearance last season. The other two Group G teams are CSKA Moscow and Viktoria Plzen, which play Wednesday in the Czech Republic.